Fat and the Moon Mermaid Mask - Wildland Supply Co. It's amazing what getting food on your face can do for your skin! 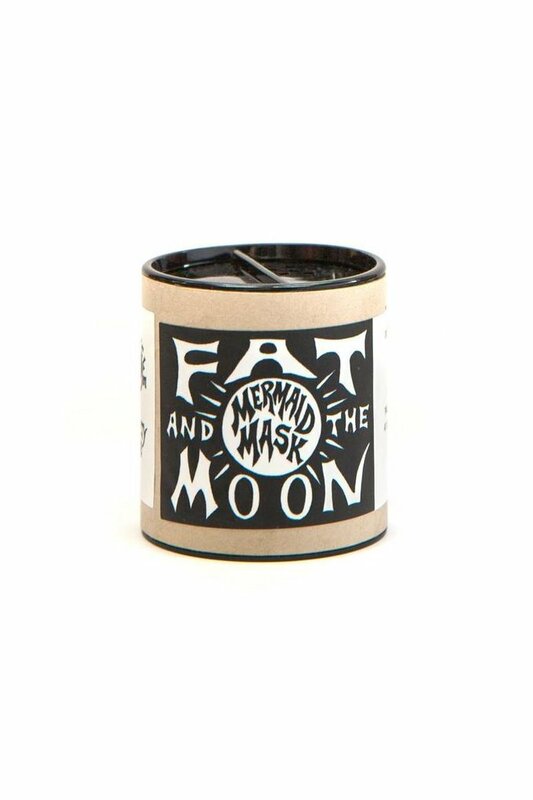 Inspired from a raw dessert that went oh-so-wrong, Fat and the Moon's Mermaid Mask does your hair and skin oh-so-right. Irish moss, honey, rhassoul clay and aloe vera hydrate and bask your bod in nutrients brought to you by animal, vegetable and mineral. Dewy flow in a jar, straight up. For the face, this champ of a mask tones and moisturizes at the same time. Honey lends an antibacterial hand, so it's a perfect mask for pimples and dry skin combos. For the hair, Mermaid Mask softens while adding body and an un-earthly glow. For the face, mix 1 teaspoon of the mask with a few tablespoons of hot water and massage into your face. Leave on for at least 20 minutes, then rinse. For the hair, mix 2 tablespoons of the mask with 1 cup hot water and stir well. Leave on for at least 20 minutes, then rinse. The Mermaid Mask can also be used as a hydrating cleanser. Mix a dash of the mask with warm water and massage into skin, then rinse. The dry mask is shelf stable. Remaining mixed mask can be stored in the fridge and will last one week.